Donald John Trump, Sr., aka Donald Trump, is a celebrity business man and media personality. He is the 2016 Republican candidate for President of the United States. 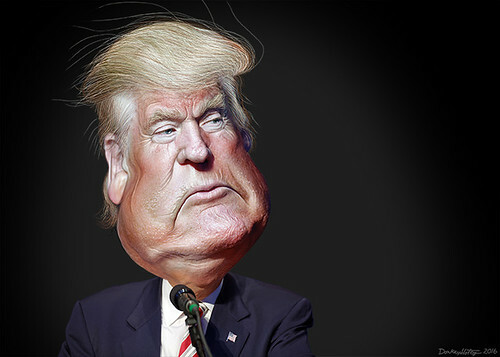 This caricature of Donald Trump was adapted from Creative Commons licensed images from Michael Vadon's flickr photostream.